There are some movies that you really have to see to understand, movies whose conceit is just a little too much to package. I’m thinking of concepts like the endearing humanity via farting corpse of Swiss Army Man where the scope of its imagination can only really be hinted at–no matter how confusing that hint is. 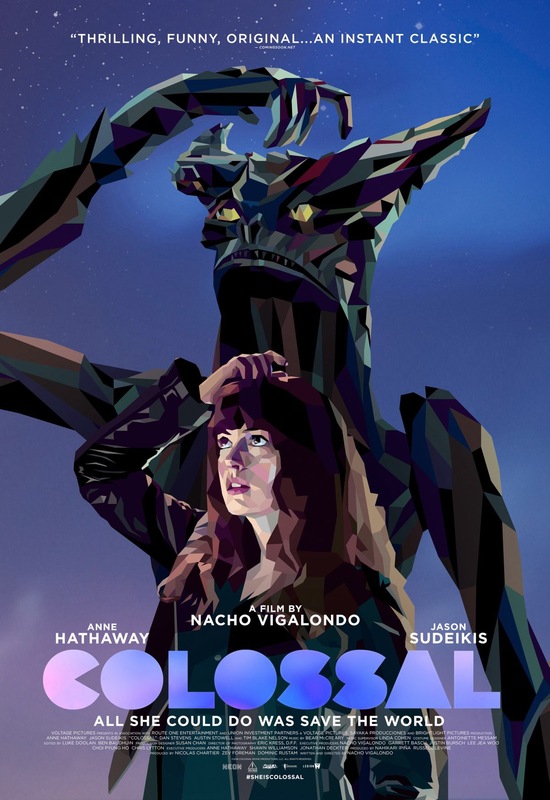 Colossal is most certainly a film like this. Although the previews do an admirable job selling the whole alcoholic turned giant monster puppeteer with an enticing brevity, it’s really impossible to share exactly what this movie is. I can’t blame the marketing team for wanting to avoid spoiling one of its best surprises, but it’s also a shame that they can’t really share the disarming depth of what this movie accomplishes. Make no mistake, it might seem silly at first, but this is a powerful movie. 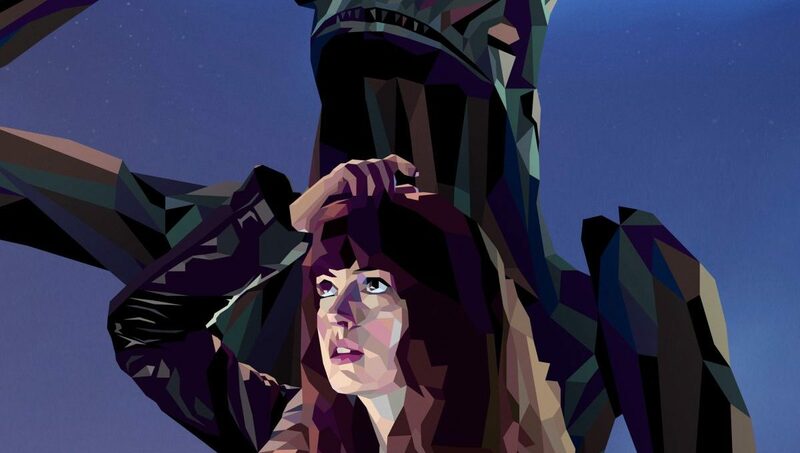 Starring an endlessly charming Anne Hathaway and the human smirk Jason Sudekis, Colossal is the story of an aimless alcoholic, who gets by on the patience of others and the pursuit of a good time. When her tenuous support system finally comes crashing down, she moves back to her childhood home, now a vacant rental property. Running into a childhood friend, she finds herself still stuck in her drunken dance, when all of a sudden, a giant monster attacks Seoul, and her whole world comes crashing down once again. Because (SPOILER! ), it turns out, she’s the monster. Without giving much else away, the imagination on display in this movie is incredible. Although the film explains the what and why of her connection to the kaiju, it’s the metaphor behind it that really makes this movie something special. Sure, the theme of addiction as one’s personal monster is certainly present, but, as the film progresses, it begins tapping into concepts of bodily autonomy and abusive relationships with such unflinching sincerity that the whole monster motif almost seems quaint by contrast. Many critics might want to dismiss this movie as a quirky comedy or a nerdy niche film, but it would be a big mistake to think of it as just another blockbuster romp. First off, it’s not really all that action oriented. Secondly, it’s a movie of sharp and insightful sincerity that touches on themes that are often left to dramas. 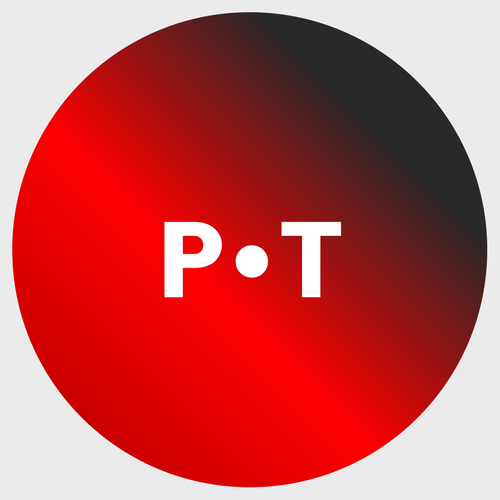 Even in its considerable levity, it’s not afraid to go dark–real dark. I can imagine some people being put off by its twists and turns but, if you’re willing to take the monstrous journey of self-discovery with Hathaway, you’ll be rewarded with an incredibly thoughtful–if a bit ridiculous–story, whose message is both frightening and necessary.